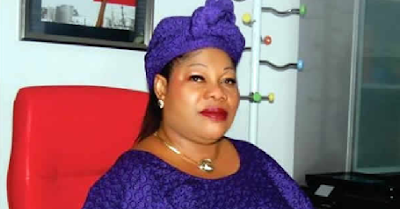 The Economic and Financial Crimes Commission has arrested Dr. Ngozi Olojeme, the Deputy Chairman, Finance Committee of the Goodluck Jonathan Campaign Organisation in the 2015 presidential election, The Punch has learnt. The suspect, who served as the Chairman of the Nigeria Social Insurance Trust Fund from 2009 to 2015, was, in June, declared wanted for allegedly diverting N69bn from the agency. Olojeme, who is also the widow to Felix Obuah, the late Chief Security Officer to Jonathan, was said to have fled the country shortly after her sacking by President Muhammadu Buhari in 2015.